Many elders supplement daily diets with herbs, vitamins and minerals. 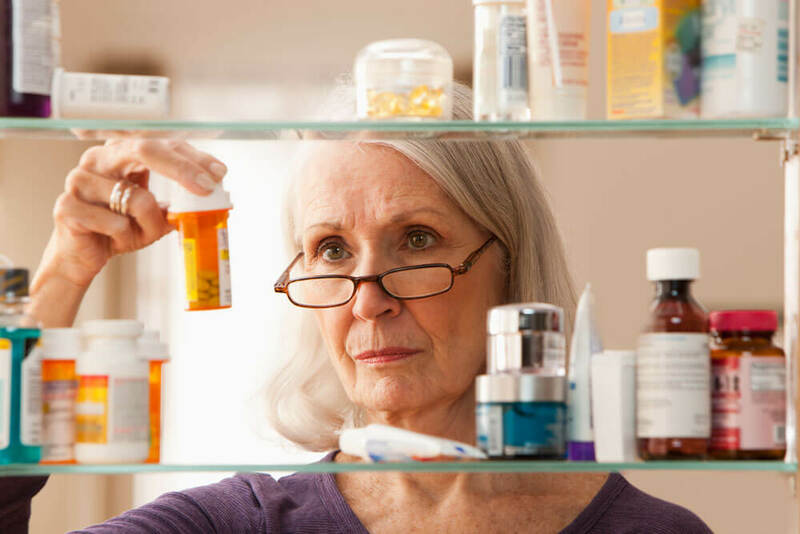 While daily supplementation is healthy—for some, even vital—its interaction with prescription medication can be deadly. Not all medication is created equal, and mundane substances, like cranberry, can create deadly chemical cocktails when consumed alongside medication. Elder Care and Supplements require close attention. Below, we’re covering several supplements, helping you circumnavigate potential dangers. Valerian is commonly supplemented to assist with anxiety and insomnia. That said, its 500 possible medication interactions aren’t all safe. Valerian can become dangerous when combined with muscle relaxants, pain medicines, anxiety medicines or antidepressants. These combinations can create dizziness, drowsiness or confusion—all of which may potentiate dangerous scenarios. The natural hormone, melatonin, regulates one’s sleep-wake cycle. It shouldn’t be mixed with sedating prescriptions, like benzodiazepines or hypnotics, however. In combination, melatonin can negatively impact one’s sleep cycle. It can also reduce blood clotting when mixed with anticoagulants. Commonly consumed to reduce cholesterol, reduce triglycerides and lower blood sugar levels, garlic can negatively impact blood clotting. Those taking blood-thinning agents, like clopidogrel, warfarin or aspirin, may experience negative interactions. Vitamin K and Vitamin E can similarly reduce the effectiveness of anticoagulants, such as warfarin. Because warfarin is highly sensitive to dietary changes, direct supplementation of Vitamin K and Vitamin E may impact the medication’s effects considerably. Many elders supplement Echinacea and zinc to promote immune system health. These supplements, however, can interfere with cyclosporine and corticosteroids—which are taken to suppress the immune system. Echinacea should be avoided completely if you’re taking liver-impacting medications, like Nizoral or Arava. Grapefruit extract, derived from the fruit’s peel, pulp and juice, can interfere with stomach enzymes. For this reason, it can increase your stomach’s absorption of certain drugs—creating the potential for overdose. If you’re taking antidepressants, anti-seizure medications, calcium channel blockers, anti-arrhythmic drugs, benzodiazepines or impotence drugs, consider reducing your grapefruit extract consumption. Commonly used to reduce stomach disorders, lower cholesterol and consumed as an anti-cancer antioxidant, green tea greatly reduces belly fat. It’s an incredibly popular supplement, used to boost one’s metabolism, aid weight loss and supplement Vitamin K. While green tea is relatively mundane, it can interfere with blood thinners. In fact, reports cover the substantial decrease in the INR in patients treated with warfarin following green tea consumption. Yohimbe is an evergreen tree located in African countries. Its bark contains a chemical titled yohimbine, which dilates blood vessels. It’s used to reduce erectile dysfunction symptoms, boost libido and repair problems impacting selective serotonin reuptake inhibitors. Yohimbe shouldn’t, however, be taken by elders who’re taking blood-pressure-impacting medications. It can increase one’s heart rate rapidly, negatively impacting preexisting angina pectoris, hypertension or heart disease issues. Today, the above-mentioned herbal supplements can be purchased over the counter. A lot of them are taken daily, and for good reason: They work. While these products can boost one’s health overall, they might negatively impact one’s bodily stability. Always talk to a provider before beginning supplementation, and always put your medication first. Many Americans take herbal and non-herbal supplements, but not everyone knows about their potentially dangerous interactions.